The Law Office of Hillary Dewhirst represents clients in civil suits including collections, open records' act and personal injury cases. 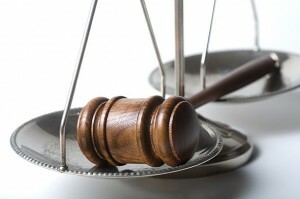 Civil litigation is a legal dispute between two or more parties when one party asks the court for monetary damages or for an equitable remedy instead of criminal sanctions. The most common equitable remedy is specific performance, which involves the court ordering the other party to act in a certain way. The Law Office of Hillary Dewhirst represents clients in civil suits including Collections, Medical Malpractice, Open Records’ Act and Personal Injury cases. Your business suffers when you do the work but the customer fails to pay you. Collecting these debts can be very important to your financial stability. There are several ways that you can collect an unpaid debt. These include garnishment of bank accounts, filing of liens, requests for foreclosures and more. At the Law Office of Hillary Dewhirst, we will work within your business’s needs to find the most efficient and effective way to collect any unpaid debts from customers. While avoiding costly litigation if possible, we will file suit, locate assets, and take legal action in order to get the money your business deserves. The Tennessee Public Records Act is a series of laws designed to guarantee that the public has access to public records of government bodies at all levels. These records include documents, letters, maps, books, photographs, and electronic data among others. The purpose of this act is to explain the state government’s activities to any interested citizen. If a request for a public record is denied by the governmental agency, the requesting party has the right to file a petition for access to the documents. The governmental agency must then prove why the documents are an exception to the open records policy. If the agency cannot do this, the court will order the documents be provided. Personal injury lawsuits are filed when one person is hurt by the intentional or reckless acts of another. All people have a legal duty to act with the care of a reasonable person in order to avoid risk of harm to others. Negligence occurs when one person’s conduct imposes an unreasonable risk of harm to another, which results in personal injury to or the wrongful death of that person. When an individual or company is found to be legally accountable for the injury of another, they are liable for the injury and can be made to pay for the injured person’s damages. Compensatory damages are an amount of money that attempts to put an injured person back in the same position as before the injury occurred. These damages most commonly include repayment for medical bills and lost wages. Courts may also order the responsible party to pay punitive damages as a punishment to prevent future negligent behavior. The Law Office of Hillary Dewhirst understands your need to get your life back in order and is ready to help if you have suffered as a result of someone else’s negligent behavior.